Children ask why the sky is blue, and there usually isn’t anybody around to provide a satisfying answer. The sky is blue because… the atmosphere? And gases. The sky is blue because of the air and the Sun. The sky is blue because the sky is blue, and it’s time to go to school. Maybe they’ll tell you there. But what kind of child would look at the sky today, when there’s so much going on down here? The sky suggests infinity but the little screen on dad’s phone seems to supply it. What is the answer, then, when a child asks: Why is the internet blue? The blue at the top of this post is a Google blue. It’s not the only Google blue, just the Google blue you see the most. How was it chosen? Another blue, a slightly different Google blue, the story goes, was selected by a designer who liked how it looked. But this designer was told by a manager that this blue was the wrong blue: Another blue, testing revealed, had resulted in more clicking. Their boss intervened. 41 blues, between the nice blue and the powerful blue, were tested for efficacy. One prevailed. 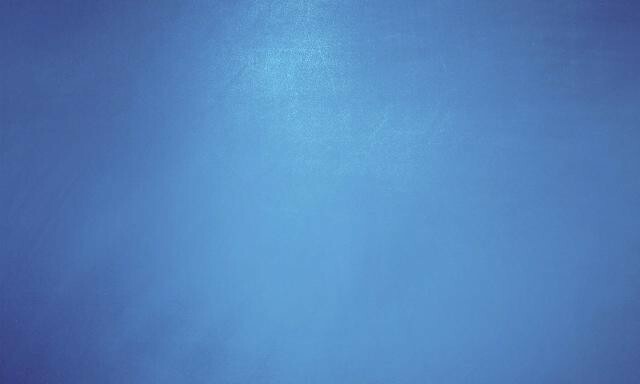 Twitter blue is known in Twitter’s official branding guidelines as Twitter Blue. Some birds are blue and Twitter’s logo is a bird. Twitter’s logo wasn’t a bird until someone pointed out that it should be, because Twitter’s name is Twitter, and Twitter agreed. But birds are also red, and brown, and black. A designer for Tumblr says Tumblr is blue, and “dark,” because nobody notices blue. “Everything’s blue,” he says. “Posts are bright on that blue background and lifted up with shadows.” Blue is for the parts you “don’t need immediately.” You can make your Tumblr any color you want; it will appear that way to you, and to people to come directly to your page on their own. Your Tumblr doesn’t have to be blue until it shares space with others. On the dashboard, everyone is trying to be noticed, but everyone is blue. This is Instagram blue after treatment with the “Hudson” filter, which is itself tinted blue. Rather than being ignorant of color, it seems that the Greeks were less interested in and attentive to hue, or tint, than they were to light. As late as the fourth century BC, Plato named the four primary colors as white, black, red, and bright. Color connotes time, and LinkedIn blue connotes the 90s, when job hunting was a lot more fun. Maybe LinkedIn users are less interested in and attentive to hue, too. The sea is winelike; LinkedIn is joblike. Microsoft blue, a new blue, is the loudest blue, because who would ever wonder why Microsoft is blue? Microsoft blue is Weezer blue. His version of the internet is profoundly blue, bluer than any internet before, for a reason he didn’t realize was personal until long after the decision was made. It had been fortunate for him, a young citizen of the internet, that links, traditionally, are blue. But why are links blue? Did he ever ask? The man who invented links was writing them to a grayscale screen. The first popular browser, Mosaic, later turned links blue because it was the darkest color available at the time that wasn’t black; they needed to stand out, but only just. Blue was the best alternative. Blue always survives the focus group. Blue wins the a/b test. Which is convenient, because blue is usually already there. Why is the internet blue? The internet is blue because… the atmosphere? And gases. The internet is blue because of its air and its Sun. The internet is blue because the internet is blue, and it’s time to go to school. Maybe they’ll tell you there.